Through the 152 pages and more than 800 large and high-quality color photographs of this first volume, model-builders can learn all about the construction of military vehicles, from the simplest to the most advanced the more experienced modelers. Volume 1 covers in detail all construction techniques such as cleaning and gluing of parts, working with photodecutting, scratch constructions, assembly of detailed interiors and much more. The processes highlighted in this encyclopedia are composed of very explicit texts and photographs showing each step in a very detailed way. 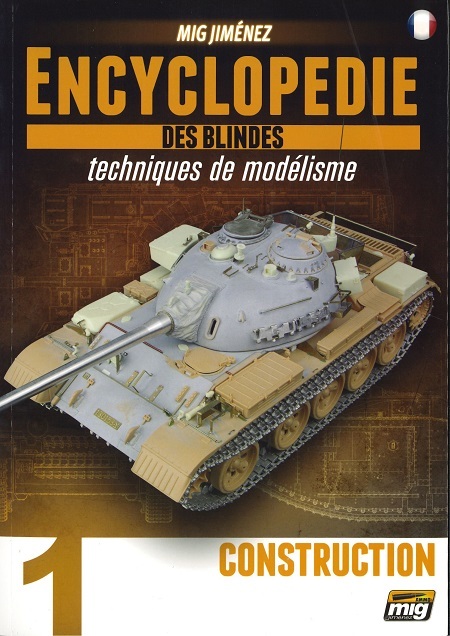 This encyclopaedia is thus the ultimate guide of the model maker, an essential tool to keep on the work plan for all fans of modeling of military vehicles. This first volume will be supplemented by four other volumes which will soon be available, each covering the modeling of armored vehicles in an extremely detailed way.